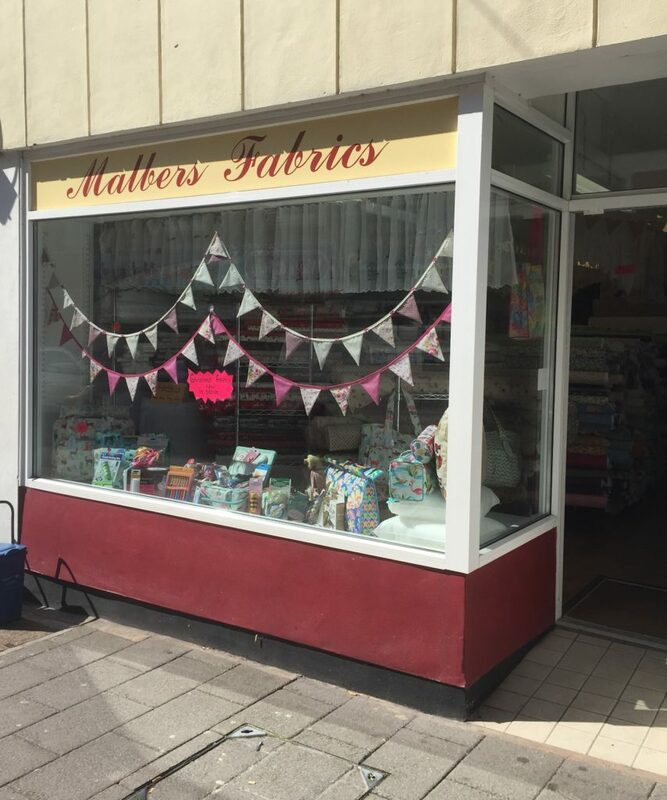 Malbers Fabrics is a small, but well stocked sewing shop in the centre of Tiverton. Despite it’s small proportions it is incredibly well stocked with many fabrics, haberdashery and general craft items. Malbers has a very unassuming exterior – you really couldn’t guess how great the inside of the shop is from the outside. It looks like it might just be a quilting shop, but no! It has many more fabrics and notions to enjoy. 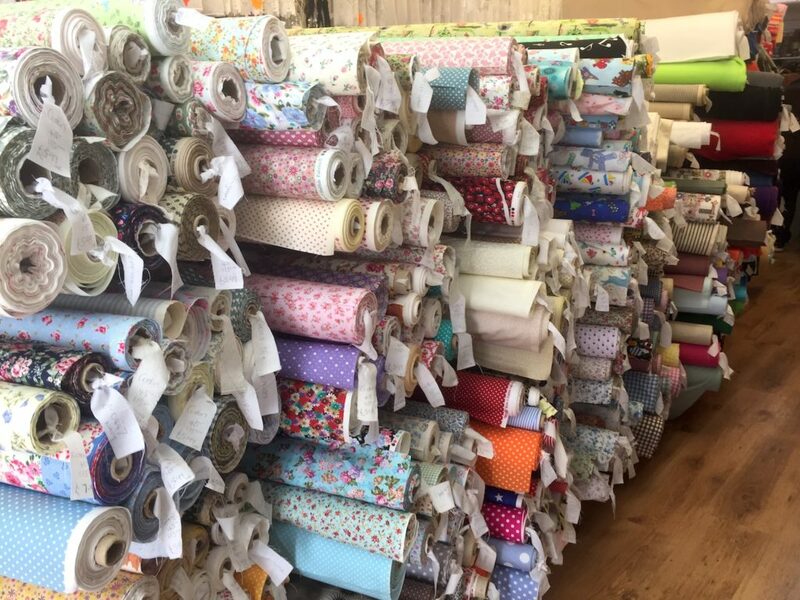 It does stock plenty of quilting cottons and poly-cotton prints, however there are ample dressmaking fabrics to make it worth visiting for dressmakers. 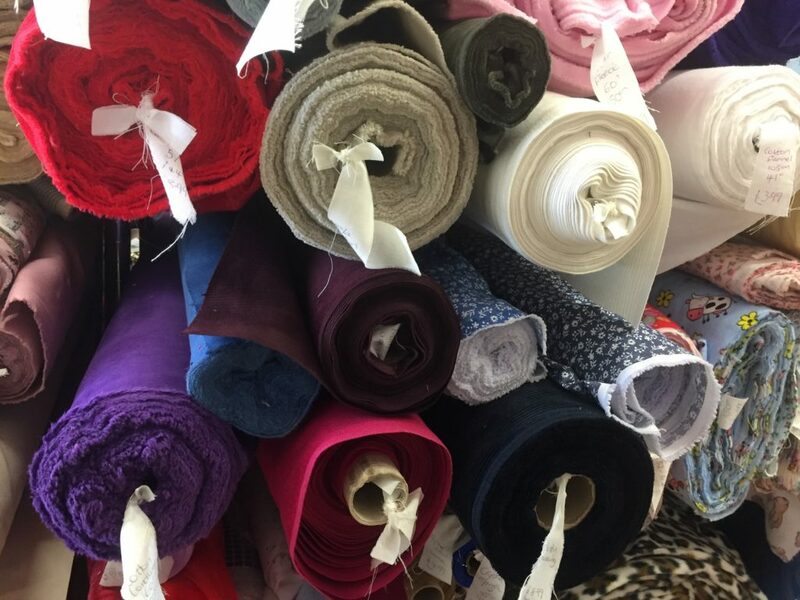 The middle of the shop is stacked with rolls of fabrics! 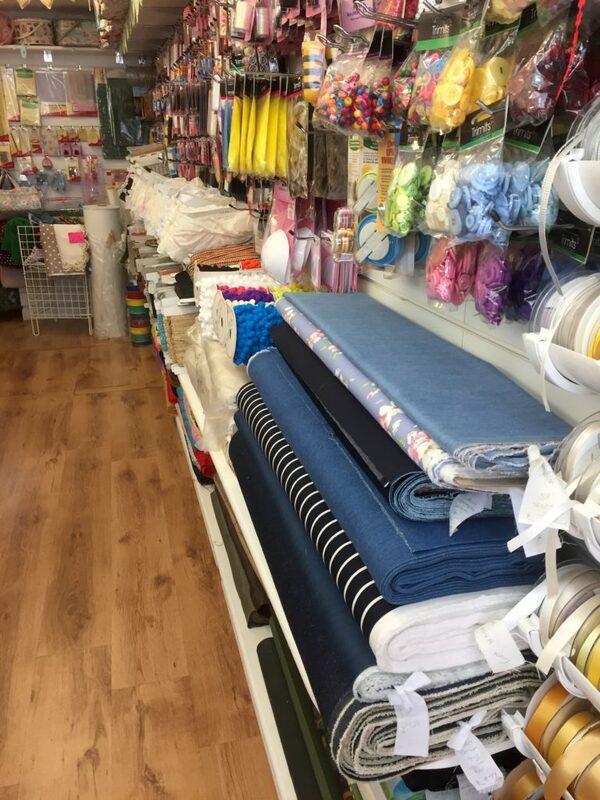 The small floor size is absolutely packed with sewing goodies – the centre of the one-room shop has roll after roll of fabric stacked up on it, with plenty of diversity. When I visited (1st September 2017), they had a lovely stack of denims, cotton drills and chambray which made me instantly think of the Tilly and The Buttons Cleo dungaree dress I have planned! The soft denim chambray was so perfect I immediately bought some to make a simple gathered skirt. I can’t wait to sew it up! 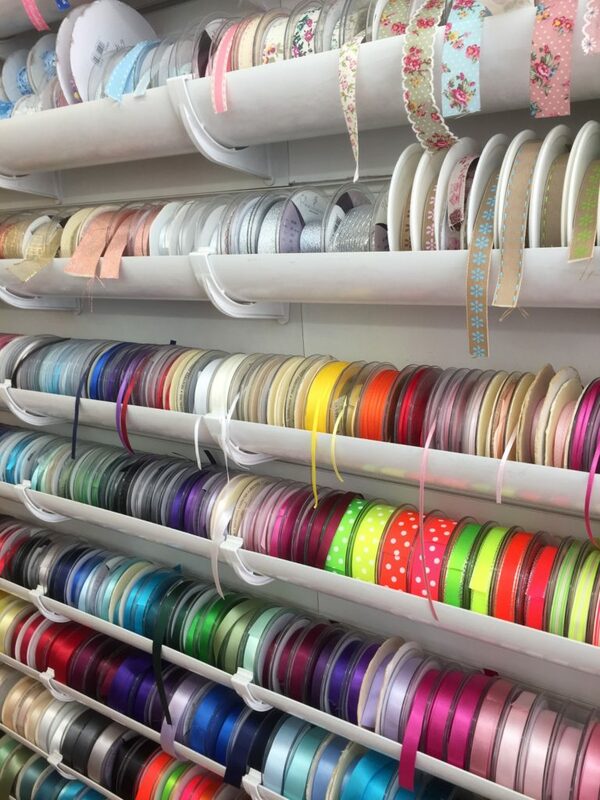 Fabric shops like this are so exciting to browse! There are a good range of solid colours too, and ginghams – perfect for summer dresses and skirts. Continuing the Tilly Cleo theme, Malbern also has some excellent corduroy fabrics: a soft claret coloured needlecord and a thicker olive cord had me lusting after them. Very affordable too, at about £8.99 per meter. 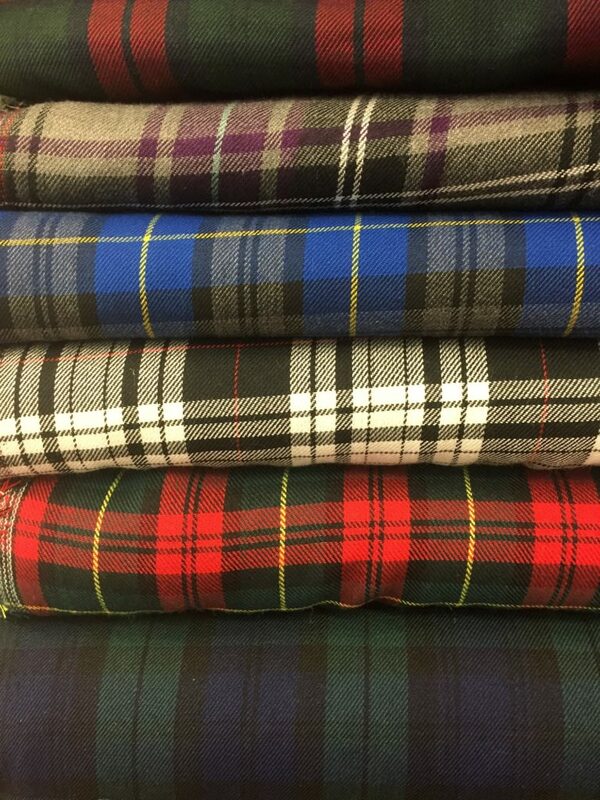 These tartans are crying out to be made into some A-Line skirts! I’ve been wanting to make a tartan A-Line skirt for years, and its definitely something I will be sewing in the future, so I was also tempted by these lovely tartans on display. 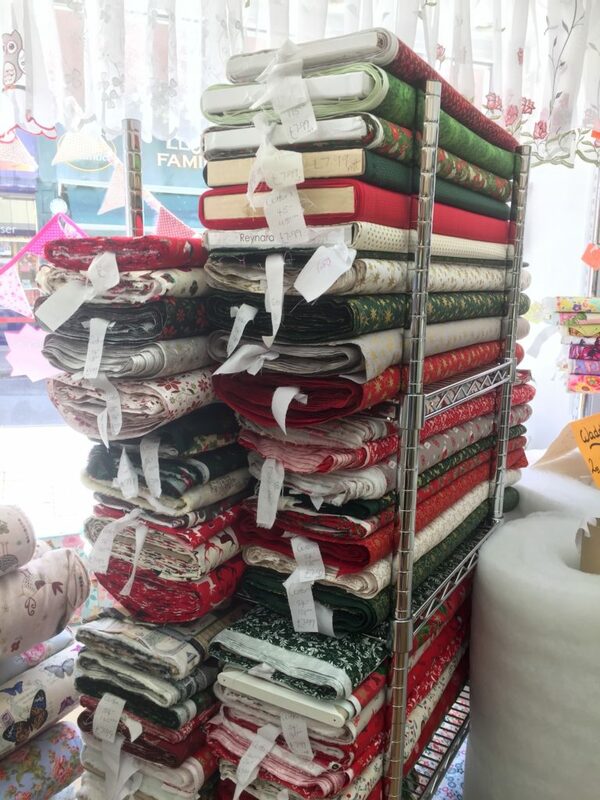 The Christmas quilting cottons are not necessarily something I would buy, but I was amazed by the volume of patterns they manage to stock in such a small shop. If you wanted to make some Christmas gifts, these would be perfect – you’d be sure to find something suitable with this selection! Lots of useful haberdashery items! 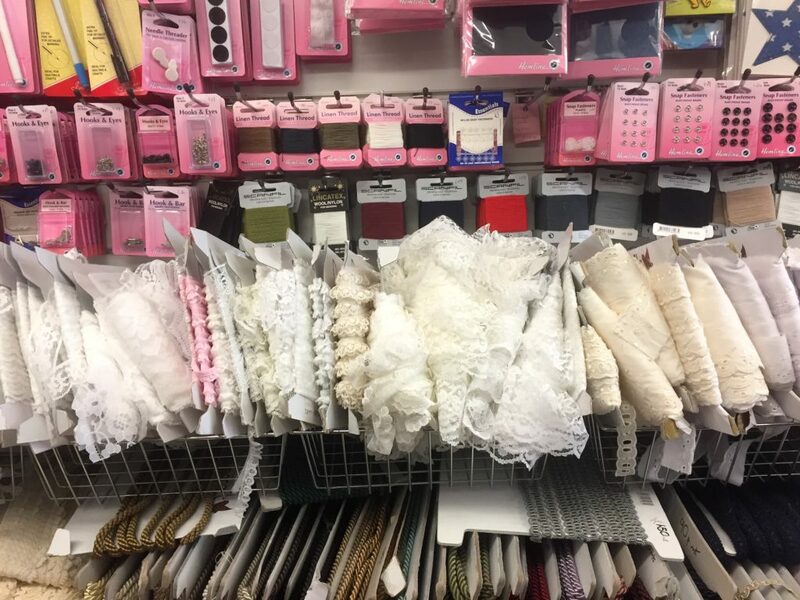 The shop manages to not only cram in hundreds of fabrics, but it also has a great selection of haberdashery products too. All the standard tools are here, and some I didn’t expect to see like sewing machine feet. 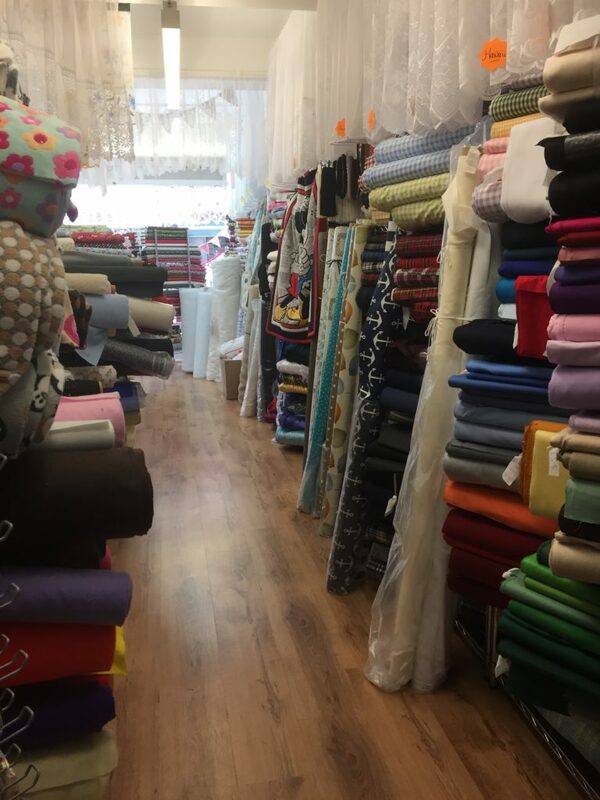 Don’t let the outside fool you – this is a lovely, and really useful fabric shop that is great for affordable dressmaking. The owner is really friendly and helpful and has a loyal following. I’ll definitely be visiting Malbers Fabrics again eagerly!